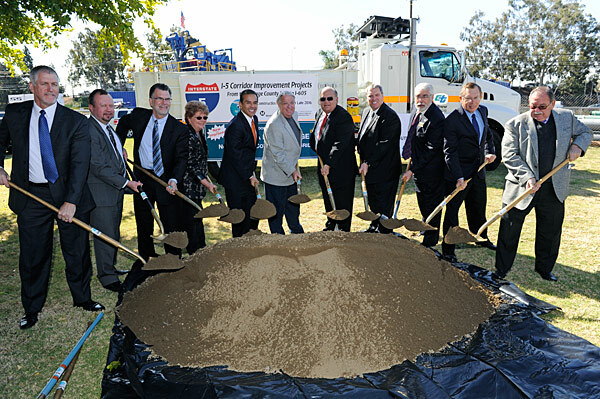 Officials break ground March 19 to launch the I-5 HOV Widening and Alondra Boulevard Bridge Project, the second of six segments of the I-5 South Corrdior Improvement Projects. 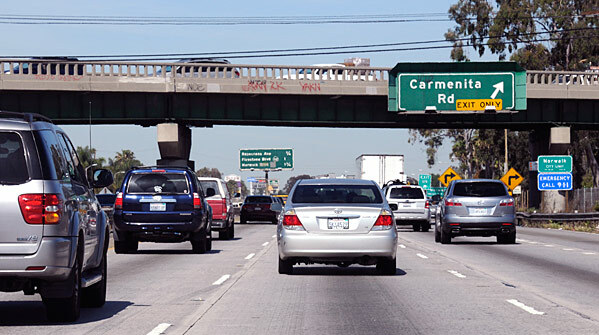 Caltrans and Metro announced Monday that construction will begin on the I-5 Widening and Alondra Boulevard Bridge Project, the second segment of the I-5 South Corridor Improvement Project that runs from the Los Angeles/Orange County Line to the I-605. Last fall, Caltrans began the first of six I-5 corridor improvement projects totaling more than $1 billion; some of the funding is coming from Measure R.
The $110-million Alondra Boulevard Bridge project will add one carpool lane and one general purpose lane in each direction from North Fork Coyote Creek to Marquardt Avenue, a distance of nearly a mile. The project also includes reconstructing two bridges at Alondra and North Fork Coyote Creek to accommodate a wider freeway, redesigned ramp structures and realigning Firestone Boulevard and Freeway Drive frontage roads. The Alondra Boulevard Bridge Project is expected to be completed by mid-2015. The Alondra Boulevard Bridge spans the 1-5 South Corridor in Santa Fe Springs. An estimated 220,000 vehicles travel this section daily. Speaking of “congestion-busting improvements”, it would be awesome if the transition from the Blue Line to the Red Line included more TAP scanners. At peak times there’s a huge crowd of people leaving BL trains and it seems like most people don’t even bother to TAP.